What a week! The weather in Hawaii brought a lot of excitement to the islands this week! 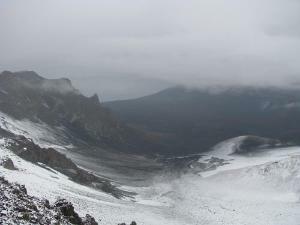 Two of the stories in the news were snow on Haleakala and the Eddie Aikau Surfing Contest. Snow on Haleakala does not happen very often. Haleakala is best known for the breathtaking Haleakala National Park. Some of the favorite Maui activities include Haleakala Bike Tours with an option to see the amazing Haleakala sunrise. Hawaii Discount offers several Maui Land Tours that include a stop at Haleakala National Park. Meanwhile on Oahu spectators gathered and waited to see if the waves would cooperate for the Eddie Aikau Surfing Contest. Unfortunately the waves were not consistent to hold the contest this week. The 20 foot waves are only fit for professional surfers in Hawaii but Hawaii Discount has fun Oahu Surfing Lessons for those that want to learn how to surf in Hawaii. 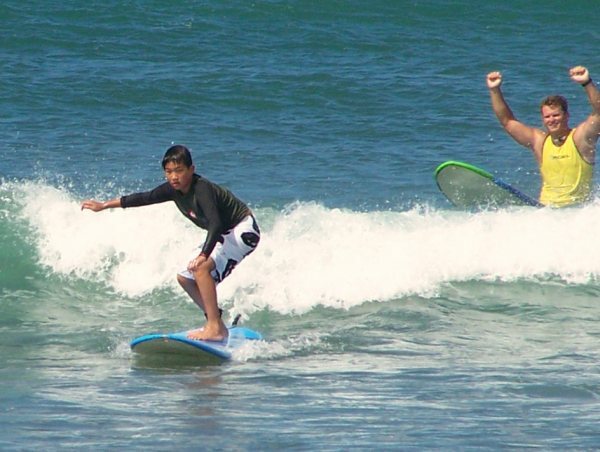 Hawaii Discount even has a North Shore Tour that includes a 2 hour Oahu surfing lesson plus a tour of famous North Shore Surf Locations such as Pipeline, Waimea Bay and Sunset Beach. This entry was posted in All Hawaiian Islands and tagged Biking Down Haleakala, Eddie Aikau Surf Invitational, Haleakala National Park, Maui Activities, Maui Land Tours, Oahu Activities, Oahu Surfing Lessons. Bookmark the permalink.